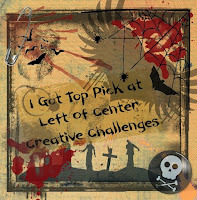 Today I'm here to show you my card for Challenge 11 at Aliciabel Challenge Blog. 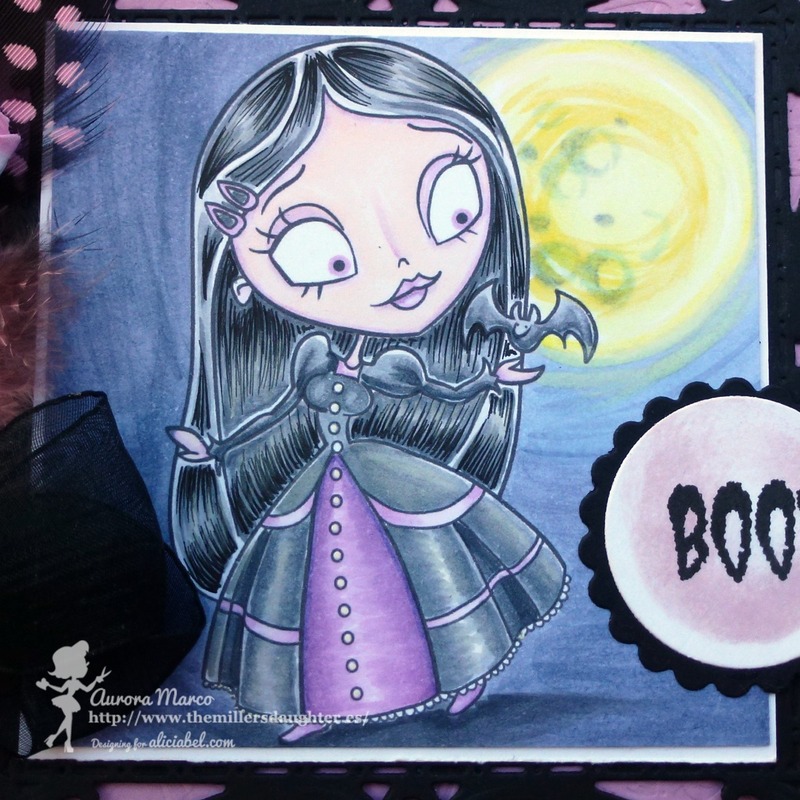 Our theme is always Anything Goes and our twist this month is Scary but Cute if you prefer. But remember than to play with us you need to use an image by Aliciabel. 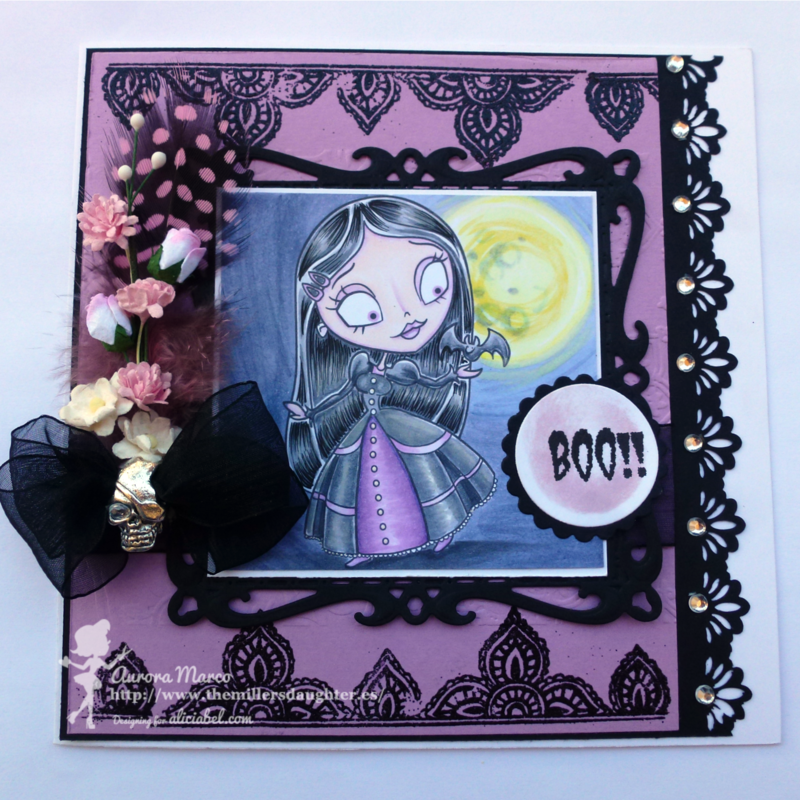 In this card: Berta Barton by Aliciabel. Gorgeous card - cute image and I love your colouring! 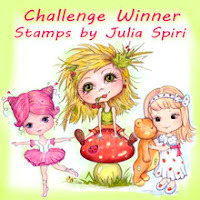 Thanks for entering our embellishments challenge at the Spellbinding Stamps Blog! Beautiful colouring and amazing card! Thank you to share with us on TSM challenge... and come back soon. Love your card! The coloring is stunning and I love the little die cut edging and all of the flowers! It's so pretty! 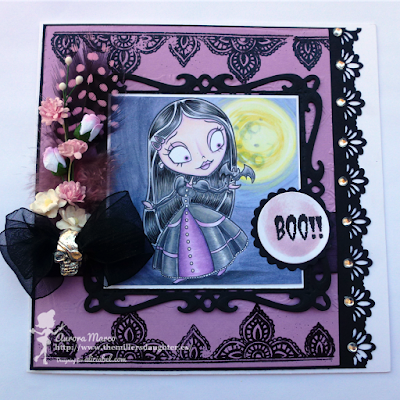 Thanks for entering your card in our Embellishments Challenge over at Spellbinding Stamps! ¡Es preciosa tu tarjeta! Muchas gracias por participar en Sweet Card Club. Te deseo mucha suerte en el reto. So many gorgeous details on this card! Love the bling on the border and the feathers! Thank you for joining us at Crafty Gals Corner for our Things with Wings/Mythical Creatures challenge. No, not scary but very cute indeed. Thanks for joining us for our 'Anything Goes' challenge #42. Wonderfully done. Thank you for joining us at Corrosive Challenge. Beautiful digi, love your card!!!!! Suerte en el reto y gracias por participar con nosotras en SCC!!! Linda tarjeta!! Terrorífica y al mismo tiempo muy elegante! una tarjeta preciosa! gracias por participar en SCC! mucha suerte! What a fantastic Halloween card you have made that fits in well with the Ching-Chou Kuik Digital Stamps Inspiration and Challenge Blog Monthly Challenge this month of “Halloween/something spooky”. Thank you for entering and best wishes in the draw. Kym (Ching-Chou Kuik Digital Stamps Design Team Leader).